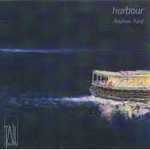 Harbour : for tenor voice and 17 solo strings / Andrew Ford ; words by Margaret Morgan. Instrumentation: Tenor, 5 first violins, 5 second violins, 3 violas, 3 cellos, 1 double bass, tubular bell in D.
Commission note: Commissioned by Australian Chamber Orchestra with funds provided by Australia Council. Performing Arts Board. May 92: Museum of Contemporary Art, Sydney. Featuring Australian Chamber Orchestra, Gerald English, David Stanhope.